I then order a Fanta, with straw. 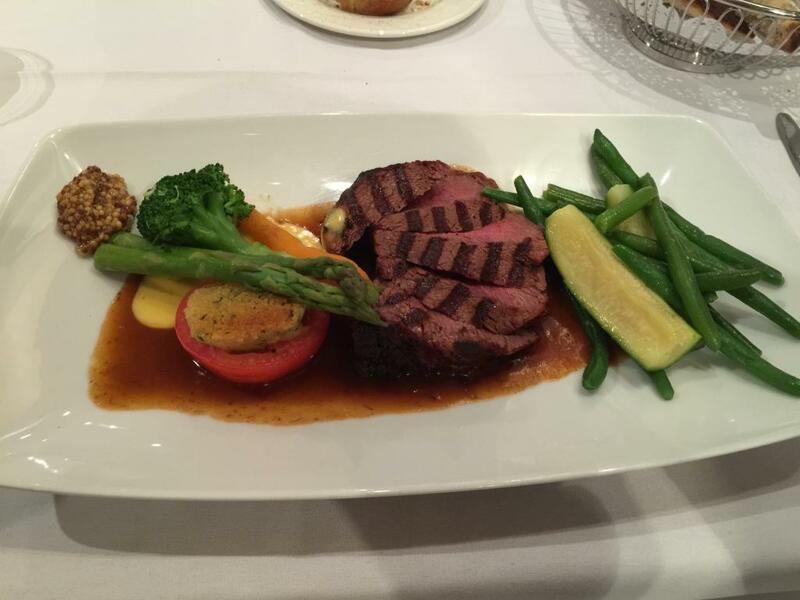 The finest fillet roasted to your choice, served with bordelaise hollandaise sauce, grilled herb tomato and asparagus. Excellent tip: Chefs almost always recommend meat be cooked to medium rare. Medium rare is pink, but clearly cooked, and it keeps a lot of its flavour. Try eating meat cooked as the chef recommends. On the inside, the meat is extremely tender and soft, and is almost sweet. However, the outside is grilled, and is effectively well-done. This ruins a lot of the subtle taste and texture of the meat, and turns it into a barbecue chop. There's nothing wrong with chops, but they're not Chateaubriand. Delicate choux pastry, filled with vanilla and liqueur cream. The profiteroles are fairly bland here. Amongst the other, very sweet, tastes here, the profiteroles just taste like bread, but tougher. They provide a slightly interesting texture to add things to, but here, there are just too many "things." 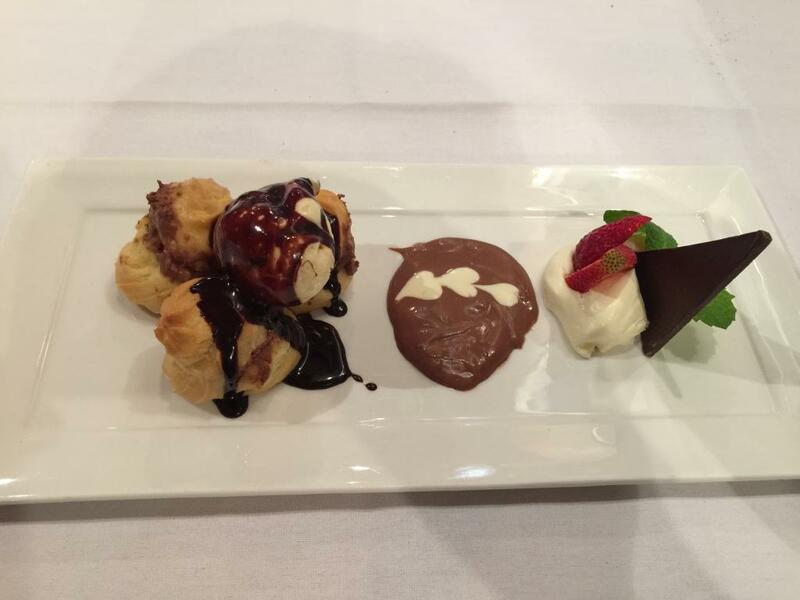 The profiteroles are full of chocolate mousse, and have ice cream and chocolate topping with them too. If that's not enough, there's a cocoa-ey sauce in the middle of the plate. These are all pleasant tastes, but they don't do much for a relatively bland profiterole.